I’d heard so many horror stories of sites being “Slashdotted” that I wasn’t sure if my site would be up to the load at first. An average of one page load every 4 seconds isn’t terribly fast, but of course the visits don’t come in evenly distributed intervals like that. GoSquared is a great way to look at live traffic. Guess which site I've been featured on? I’m running WordPress on ServerGrove shared hosting, with 23 active plugins, and a fairly hefty template. Originally with no caching, the site would regularly take over 10 seconds to load. Just last week I tidied up some plugins and installed WP Super Cache in an attempt to make the site load faster. This reduced the average load time significantly, although it still varied a lot due to static resources slowing the site down. 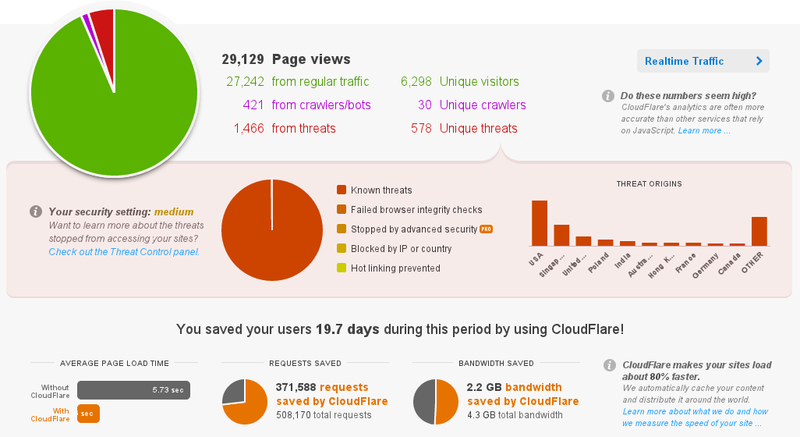 The biggest help in optimizing this WordPress installation has been CloudFlare. I decided to try out their free security/caching/CDN service after seeing many glowing reviews online. And quite simply, I’m not looking back. The caching service is great, reducing the average page load time to under 2 seconds, and CloudFlare’s spam blocking (leveraging the XBL blacklist) has reduced my WP spam to practically nil. 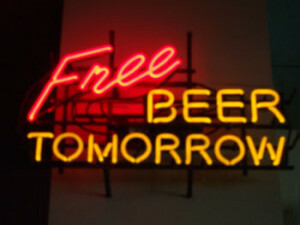 The best thing is, it’s free! Ultimately, with the help of WP Super Cache and CloudFlare, this site has run smoothly through the traffic spike. I haven’t been able to detect any speed difference or bottlenecks, even in the WP admin page. It may seem a lot to say about nothing, but I was really expecting more problems with the sudden load. Guess I’ll have to wait for that Slashdot article and see what happens…..
You’d think with all that traffic that people must be really interested in Android development, right? Well, perhaps in a controversial kind of way. A lot of people seem to be confused that I’m happy with $4 as the first month’s revenue from my Android app. Some tell me I could be making more money with a paid app, and others that I should just quit Android all together and sell apps for iOS. There have definitely been a lot of opinions put out there, and not all of them positive. While my experience doesn’t necessarily correlate to the entire Android marketplace, it’s probably indicative of what your average first-time developer can expect. And it’s not all rosy, rolling in cash after just a few weeks. In fact, you could probably compare it more to a slow drip. A slow drip – from a dam full of water and a few hundred thousand people waiting to turn on the tap. Why release a free app? Paid apps make more money, right? So why not put a price tag on it, instead of relying on miniscule ad revenues? Well firstly, at the time I published Tap That! Number my Google Checkout account was not operating properly, so I was unable to publish a paid app. This issue was resolved last week, but there are actually a couple of other reasons to release a free app first. Being a single developer, working on Android apps part time, I need to prioritize heavily. While it would be nice to create a killer app with a really polished interface and all the features I can think of, that’s just not viable. Some features need to be cut out, and released later. Otherwise the app would never get published! By releasing a free app, I’ve left the scope open for a paid upgrade in the future, with some of those extra features that didn’t make it into the first cut. The biggest single factor in my decision to release a free app was the ability to build a subscriber base for future marketing. It’s not difficult to imagine that the number of downloads for a free app will be exponentially greater than those of a paid app. This is especially true for Android, where free apps represent a greater proportion of the market. Being new to Android development, I don’t have any apps which I can use for cross-promotion, and there’s no way to upsell users from an existing product. Sure, by releasing my app for $0.99 I might get a couple of dollars per month, most likely more than I would from advertising. But in 6 months time I’ll still only have 50 active users. 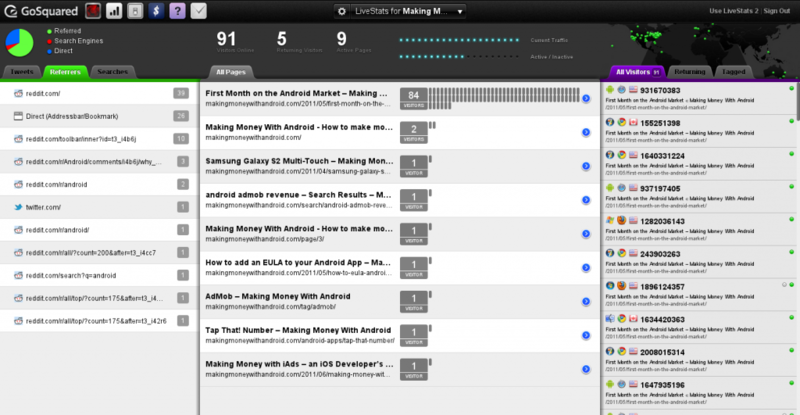 By releasing a free app, I’m able to get feedback from a lot of users in a short amount of time. Also, when I release a paid version there are already hundreds of people who know the game, and will be notified that there is an upgrade available. I think there is a fundamental difference here in philosophy. Releasing a free (or freemium) app on Android is similar to releasing a free app on iOS. It won’t always make much money. But releasing a paid app (no free version) on either app store is a completely different matter. iOS users in general are more willing to pay for an app than Android users. So certainly, if you’re trying to make a living from selling apps then iOS is the safer option (at least in the short term). However, if you’re working on a free/freemium model, there doesn’t seem to be such a clear difference between platforms. In fact, one could argue that Android has the edge here, as users are more willing to tolerate advertising. Of course, if you’re looking at comparing Android and iOS, it would be worthwhile to point out the difference in developer sign-up fees. Google’s Android Market is a straight $25 fee, and you’re in for life. Apple’s App Store on the other hand, is $99 per year. For low-profile developers, that $99 can represent a significant hurdle to ongoing profits. 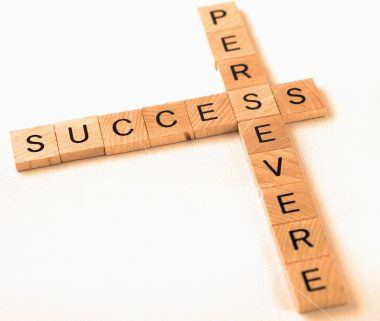 What is success anyway? While my ultimate goal is to turn this Android development into a profitable enterprise, I’m also in it for the long haul. This means not being deterred by humble beginnings. I didn’t expect Tap That! Number to be an instant hit, and it wasn’t. Quite honestly, it’s not the most polished app out there, and there’s plenty of room for improvement. But following the “deliver first, iterate later” philosophy, my goal was to get something out there which I can both learn from, and build on in the future.